I recorded myself saying “Ok Google”, and played it back while screencasting my Google Pixel using AllCast Receiver and AllCast Mirror (since I don’t have a tripod to record the phone itself.) I cranked up the volume on studio monitor speakers at my desk to ensure that the phone would hear it for the demo; but if you wanted to break into a device discreetly, you could use a small digital recorder or phone to play back the recording much closer to the device, allowing for a very quiet volume. 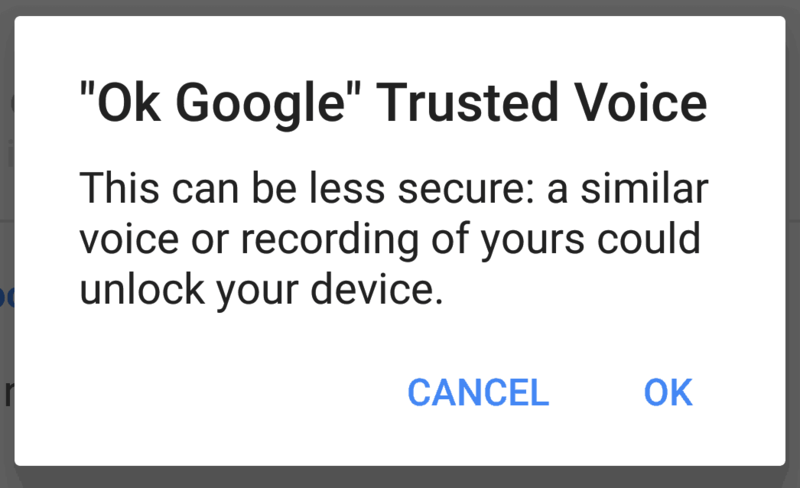 The ability to use “Ok, Google” to unlock a device use Google voice commands is called Trusted Voice. It has actually been around for as long as “Ok Google” itself. The difference with the Pixel phones is Trusted Voice is enabled by default. This allows you to work with the Google Assistant from across the room. Convenient to be sure, but it is also a substantial privacy and security risk. If you manually enable Trusted Voice when it is disabled, you will receive a warning about these risks, as shown in the featured image of this post. If there was a warning about this during the initial setup of the phone, I missed it in the excitement of setting up a new device. To disable Trusted Voice, tap on the G logo in the upper-left of the Pixel Launcher, then tap it again in the search bar. Tap on the menu icon in the upper-left, the tap Settings, Voice “Ok Google” Detection, and turn off the Trusted Voice switch. 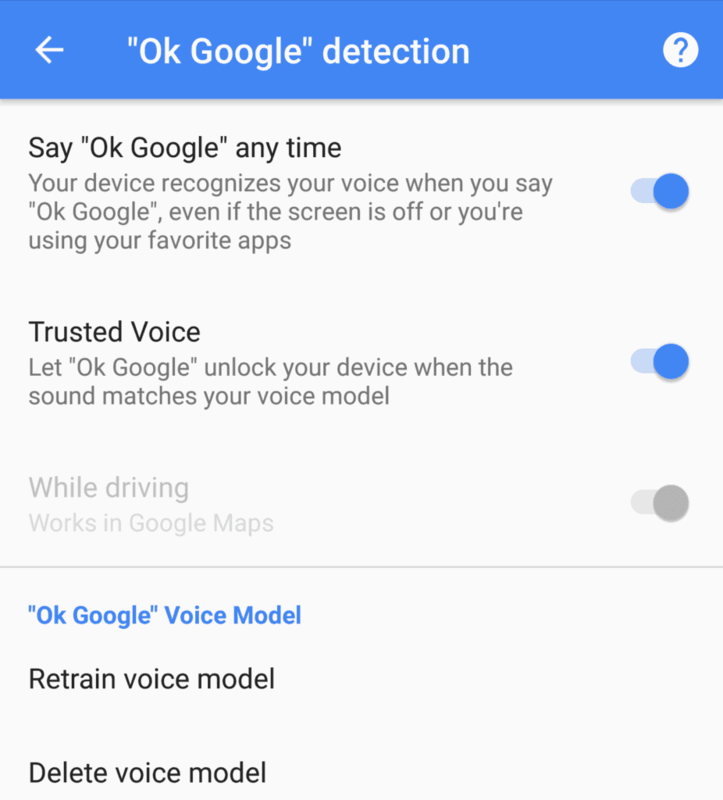 With Trusted Voice off, your device will prompt you to unlock it before taking any action if if hears you say “Ok Google” while the device is locked. It would be nice if Google had settings to let the user ask general, non-personal questions, or make phone calls with Trusted Voice disabled and the device is locked. That’s the way it works when giving voice commands on a Blutetooth headset. The upcoming Google Home will give some convenience without having to use Trusted Voice on your phone. For now though, you’ll have to choose between the convince of talking to your phone from across a room, or having a decently secure device.